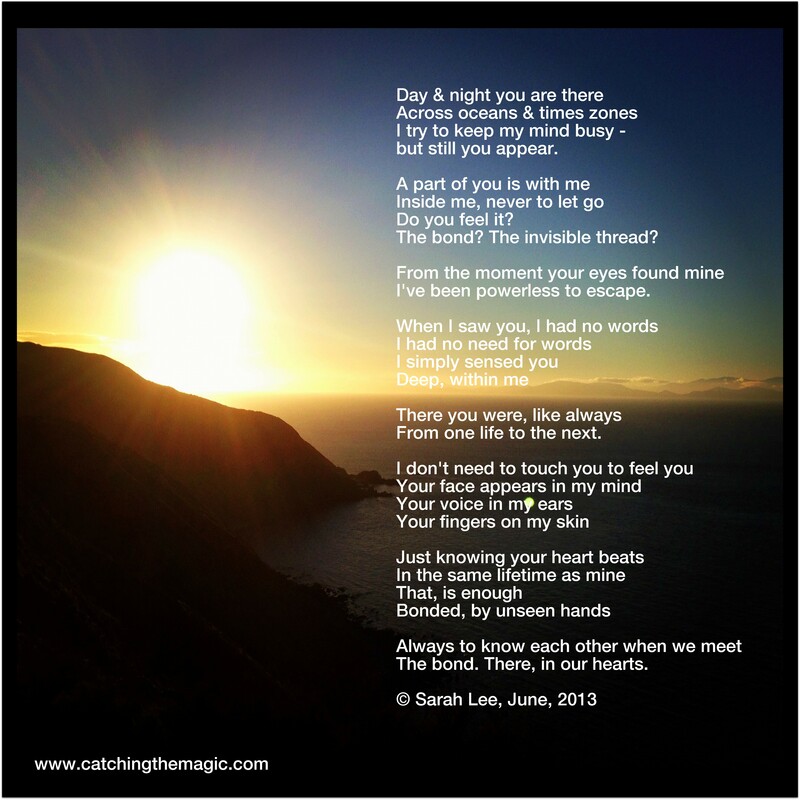 A poem about the bond that many people feel across a lifetime for special people they meet. They may not realise the depth of their bond till much later – but to recognise it, is still powerful in itself. They may not get to journey together in life, side by side, but their connection lives on all the same. Sarah, Writing love, poem, poetry, Prose for Thought, relationships, writing. permalink.